ARE YOU AN 80'S BABY ? THEN YOU WILL LOVE THE ADIDAS X MITA SERIES. THIS SHOES ARE TRENDY, STYLIST, & HISTORIC. SOME MAY SAY IT EVEN BRINGS BACK MEMORIES, OTHERS MAY SAY I NEVER OWNED A PAIR. BUT WHO EVER YOU ARE ? YOU ARE GOING TO LOVE THE VINTAGE SERIES. 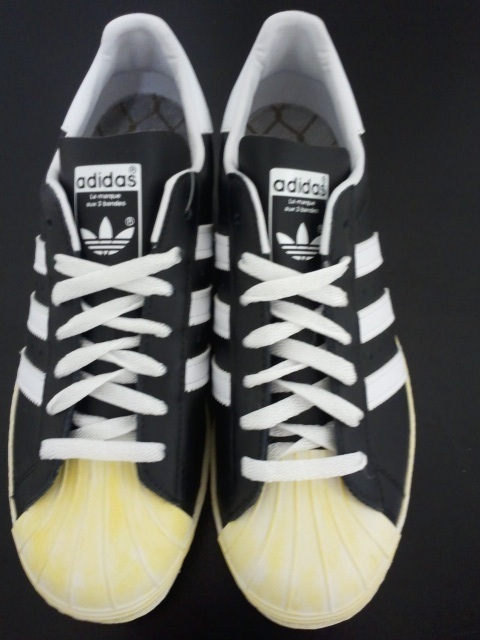 THE CLASSIC SUPERSTAR_SHELL-TOE ADIDAS, WITH ALL BLACK LEATHER, ORIGINAL 80'S WHITE LACES, AND VINTAGE COSTUME SOLE. CAMPUS ALL ORIGINAL 80'S SUEDE, CLASSIC VINTAGE SOLE, WITH A METALLIC-GREY SIGNATURE 3 STRIP, TOPPING IT OF LACES FROM THE PAST. THIS ALL SUEDE WHEAT UPPER MATERIAL, WITH UNIQUE IN-SOLE PRINT, WITH ALL GUM SOLE. A GREAT SNEAKER TO ADD TO THE CLOSET COLLECTION.